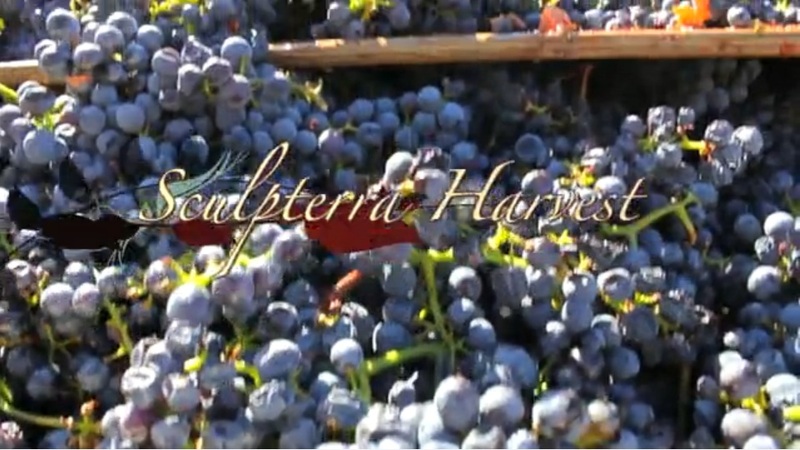 Visiting Sculpterra Winery in Paso Robles is a unique experience. The sculpture garden entices you to wander about the property taking in the mass proportions and intricate details of each piece of sculpture. Finally you make your way into the vast tasting room with its long bar, wonderful gifts to browse and delicious wines to taste. A visitor during harvest time would never know what’s going on behind the scenes out in the vineyard and on the crush pad. Enjoy this glimpse into the frenzied, high energy world of….. “harvest”.